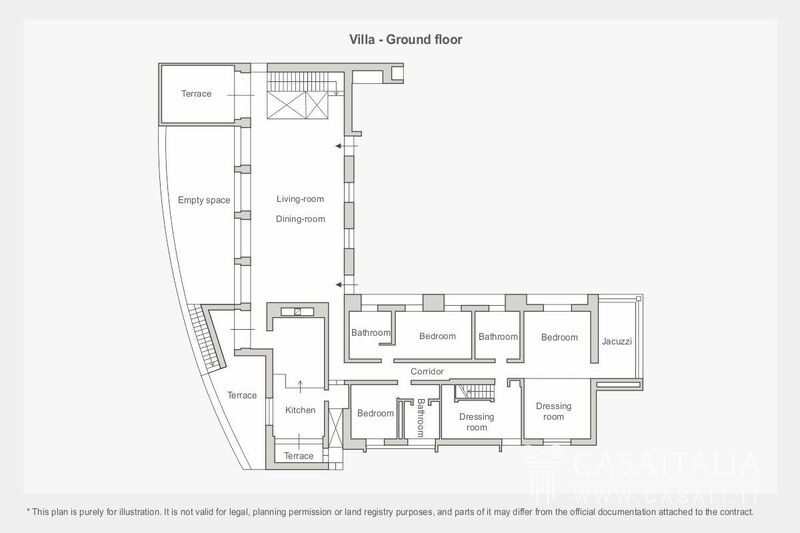 Recently built luxury villa, measuring 520 sq.m, with large, impressive drawing room, kitchen with island, 3 bedrooms and 4 bathrooms, double garage and utility rooms. 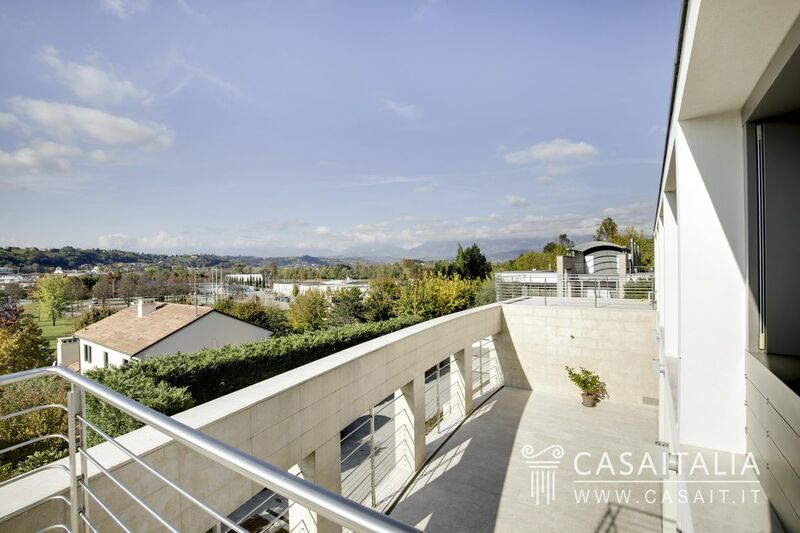 With 4 large terraces and 1.100 sq.m of private land. 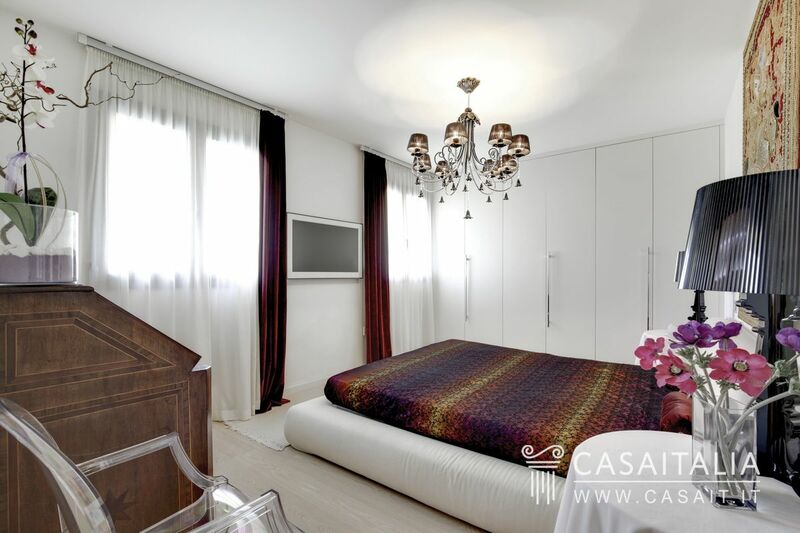 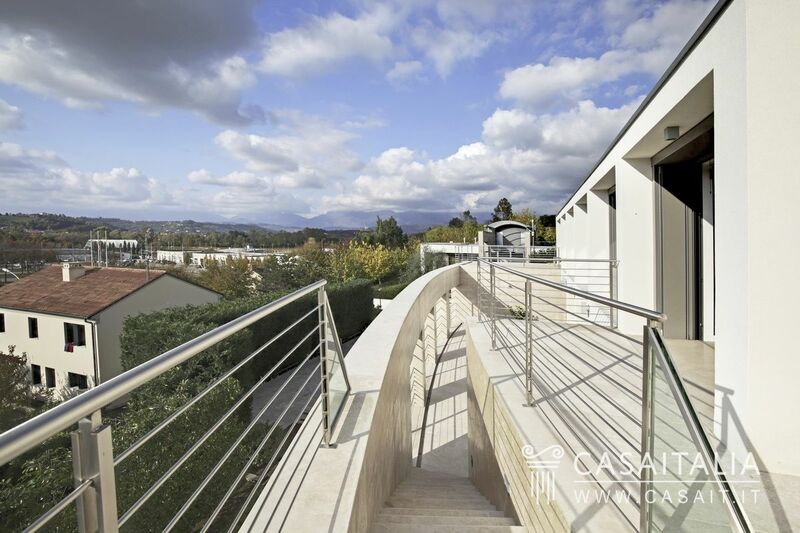 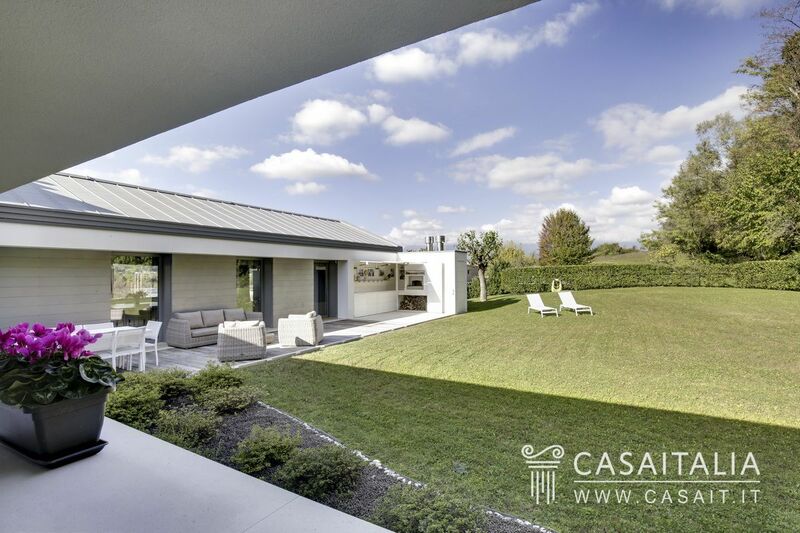 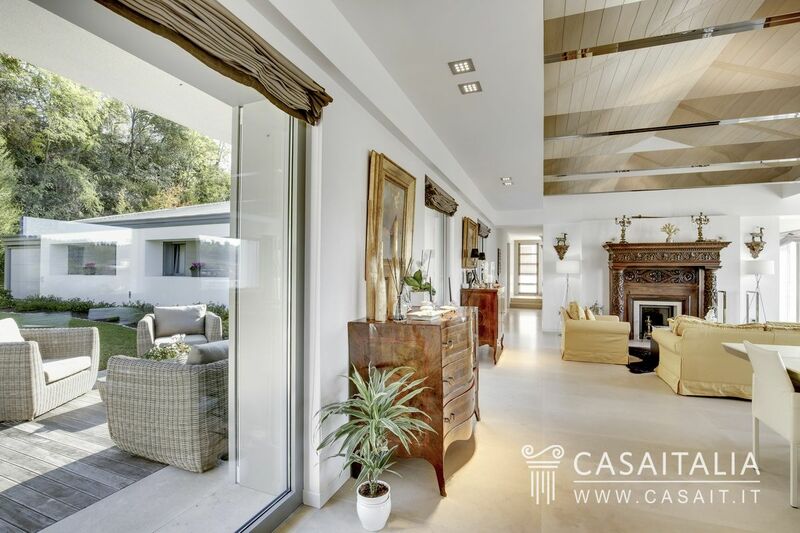 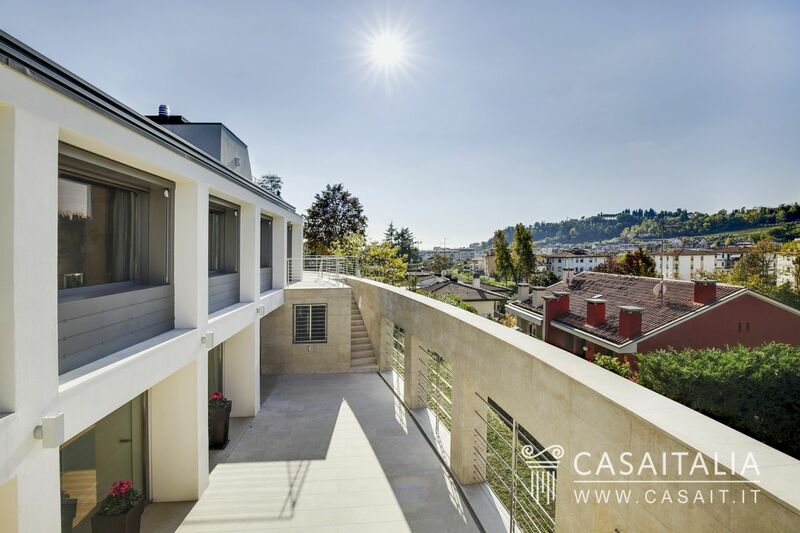 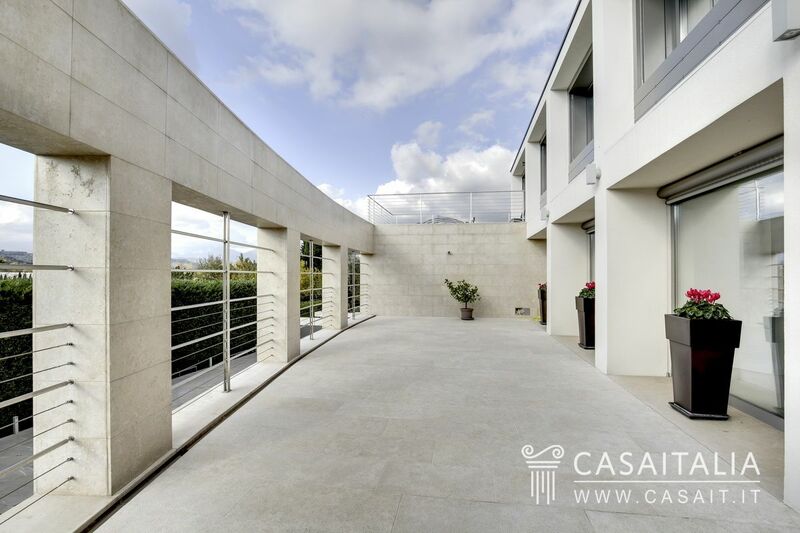 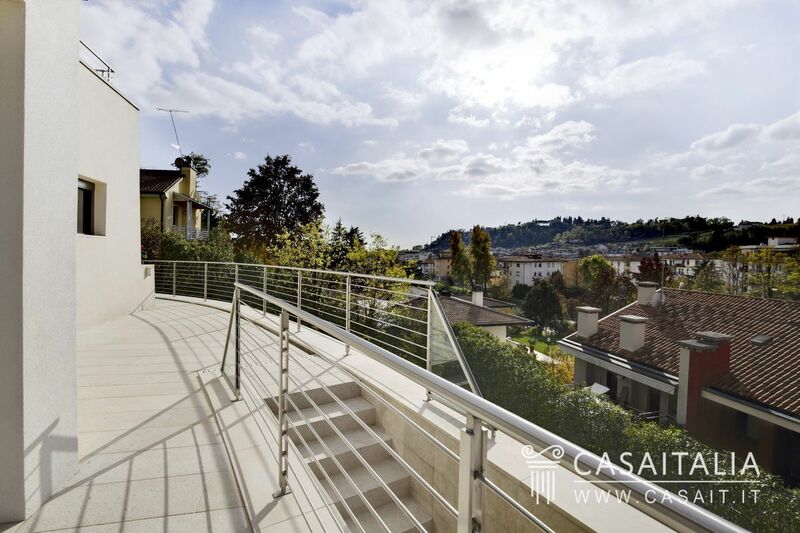 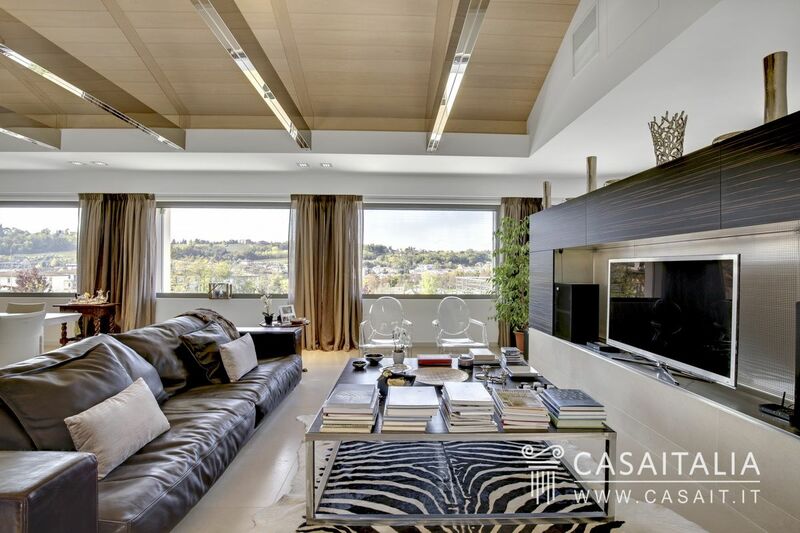 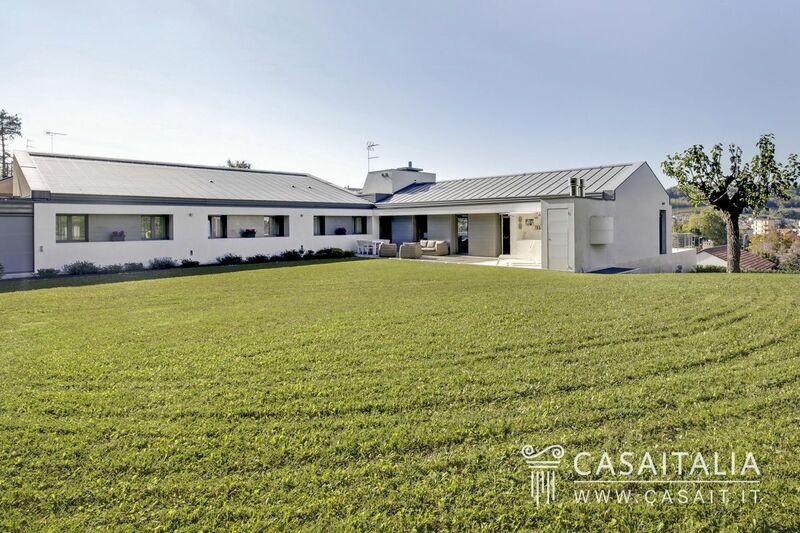 Villa Modern Luxury is a highly prestigious property situated in a residential area a stone’s throw from the historic centre of Conegliano (1.5 km), in the winemaking heart of the Veneto. 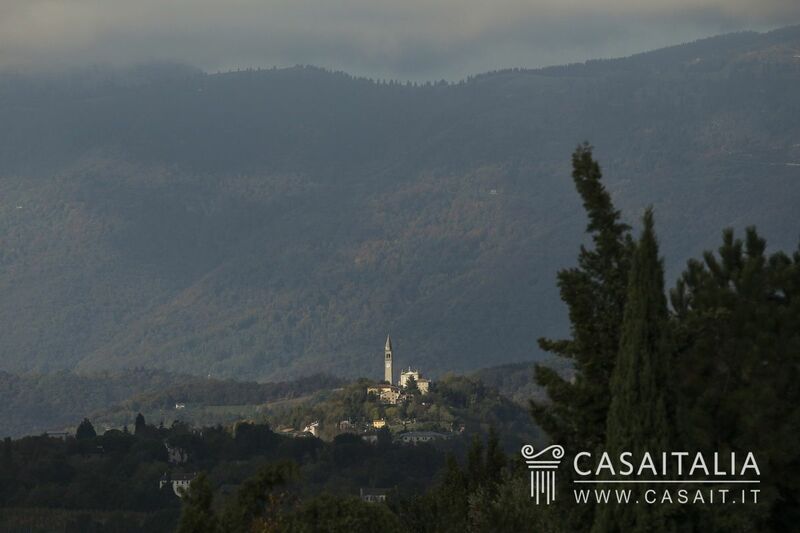 The town is very pleasant and is ideal for those who love food and wine, or cultural and shopping trips around the local area. 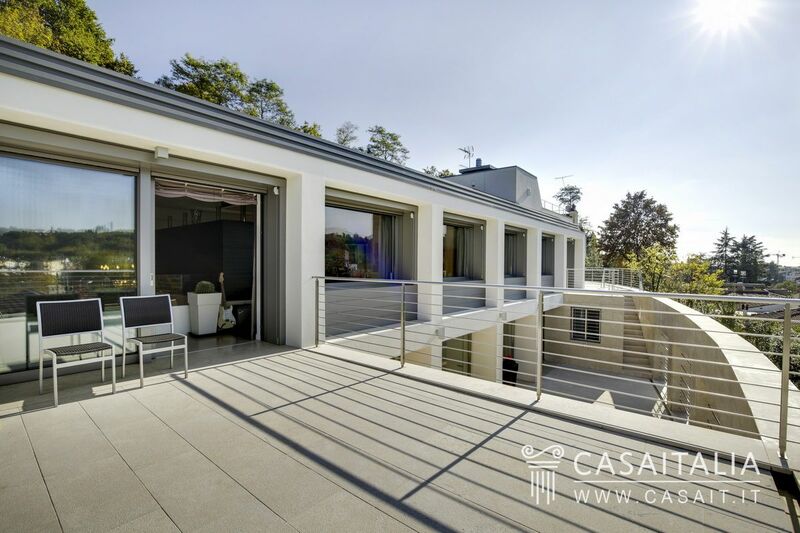 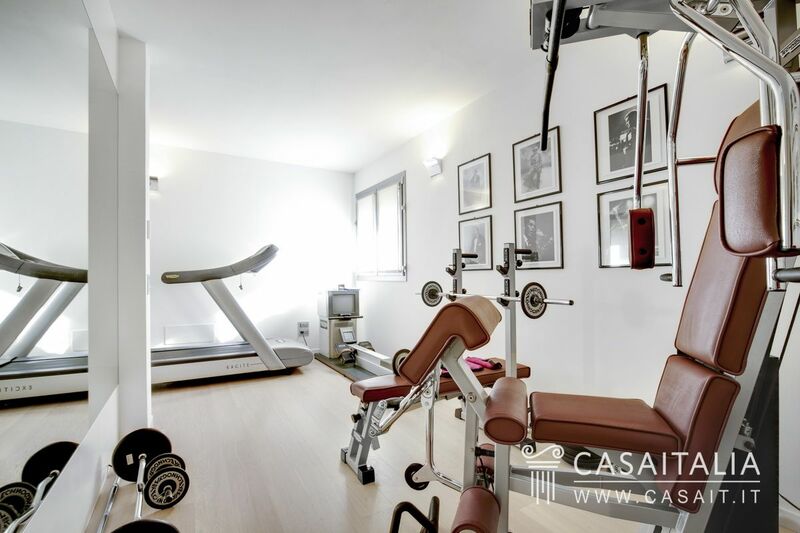 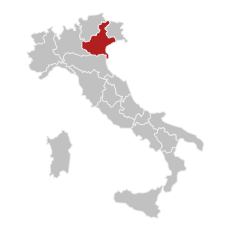 Via the connection with the A27 and A28 motorways which are very close by (7 km) it is possible to reach some of the best ski resorts in Northern Italy, such as Cortina d’Ampezzo, just 100 km away (1 and a half hours by car) and beaches such as Jesolo and Caorle, both 68 km away (a little less than an hour by car). 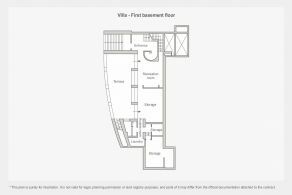 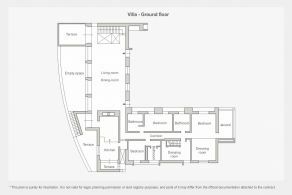 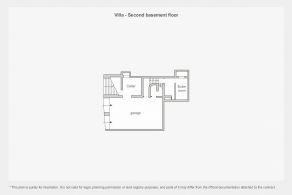 The villa, which has a total surface area of 520 sq.m, has three floors, one of which is above ground and the other a large loft. 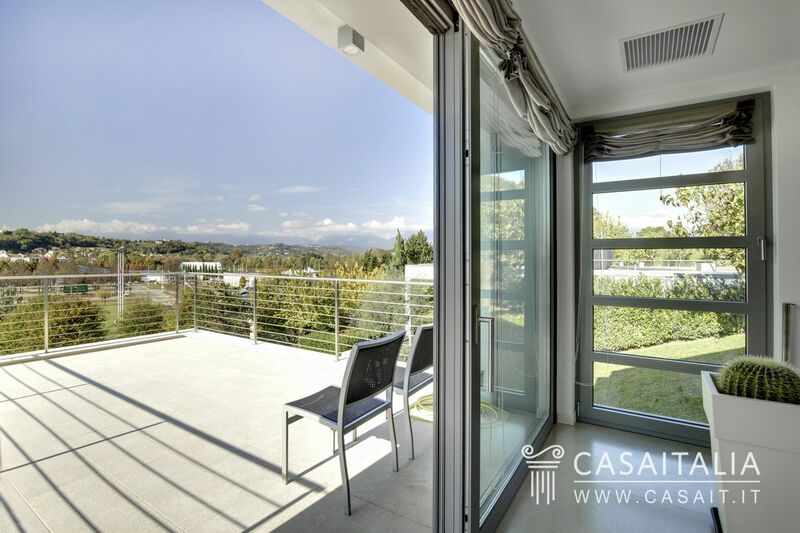 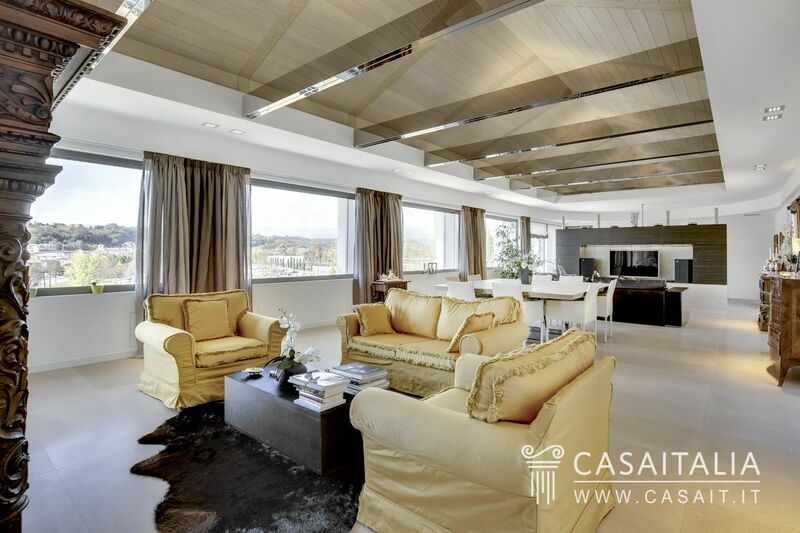 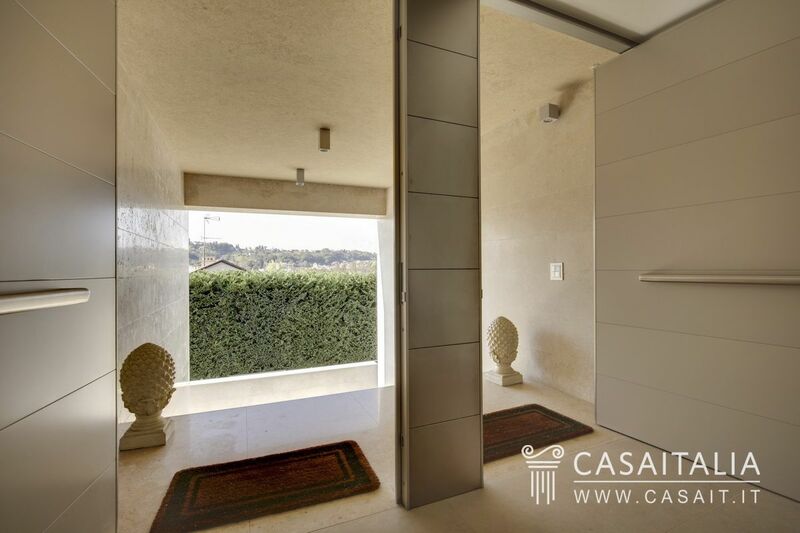 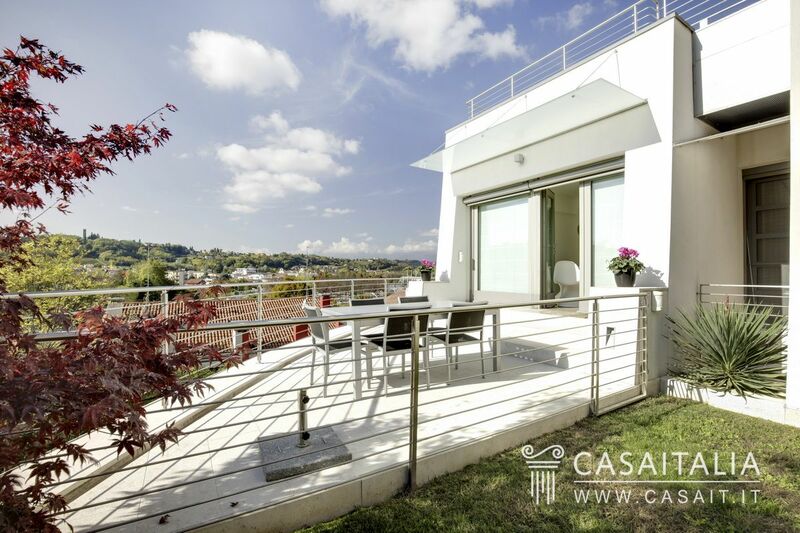 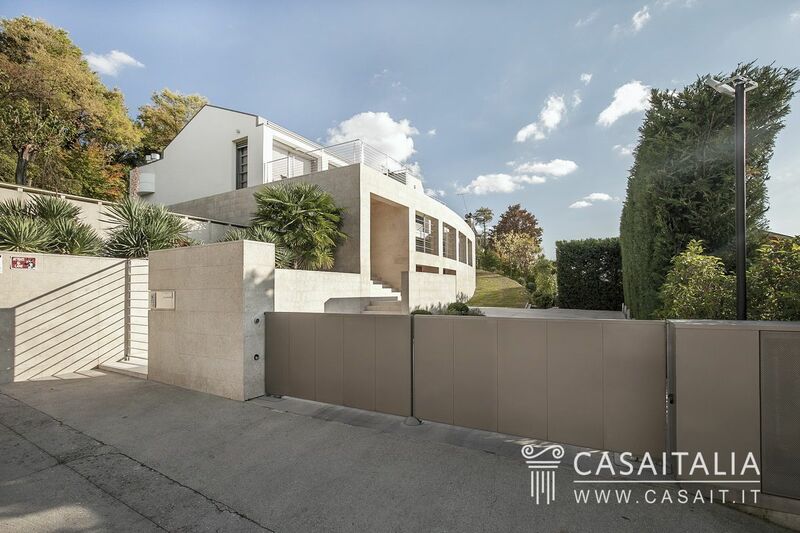 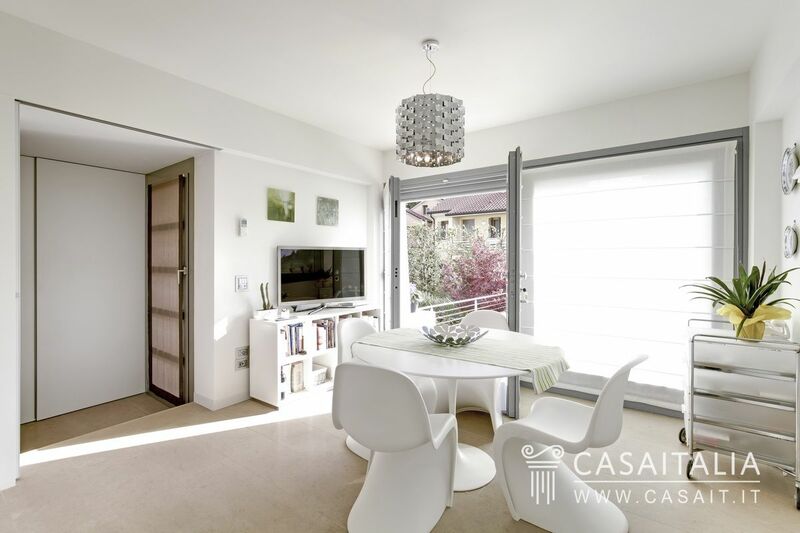 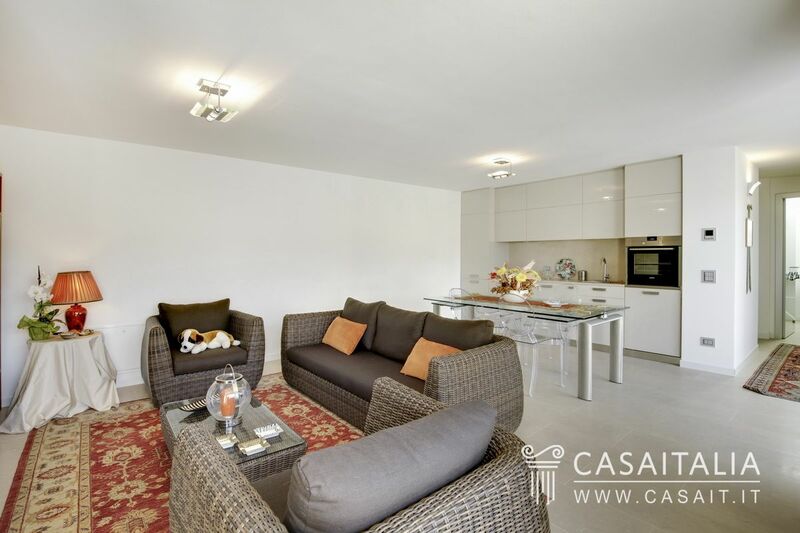 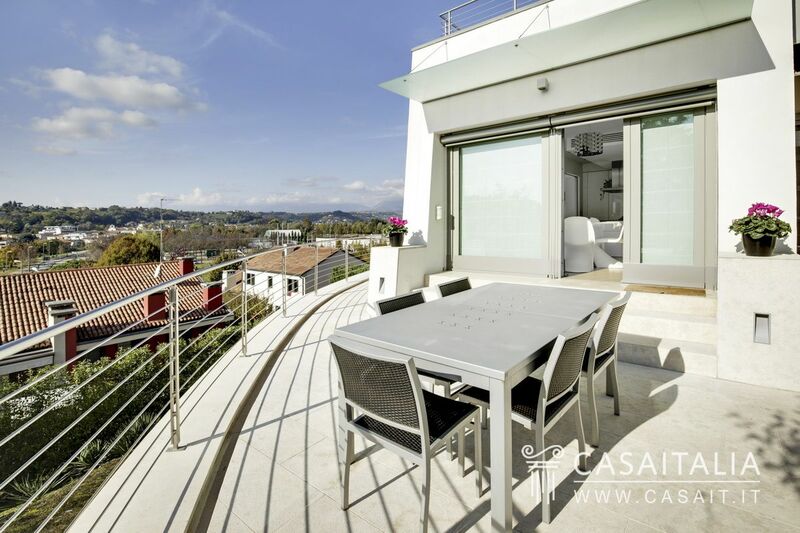 Situated in a recently built residential area, it is in a panoramic and raised location, with a beautiful view of the surrounding scenery and the city’s ancient fortified towers. 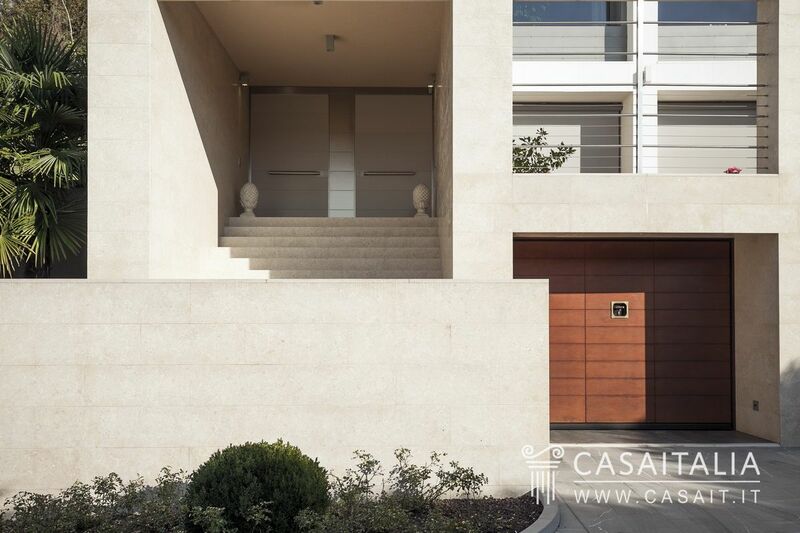 Access to the property is through a lane which leads to an automatic gate which gives an immediate impression of the villa’s modern style. 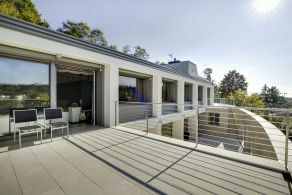 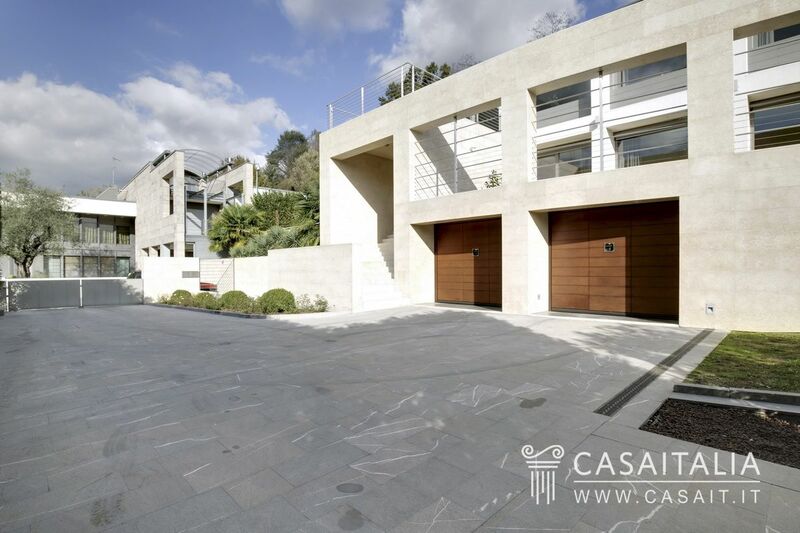 The property is built on a lot of terraced land: the main entrance, which is accessed by a beautiful T-shaped natural stone staircase, in keeping with the cladding on the rest of the house, leads to the spacious atrium with cloakroom and a luxurious foyer, from which there is access to the garage area. 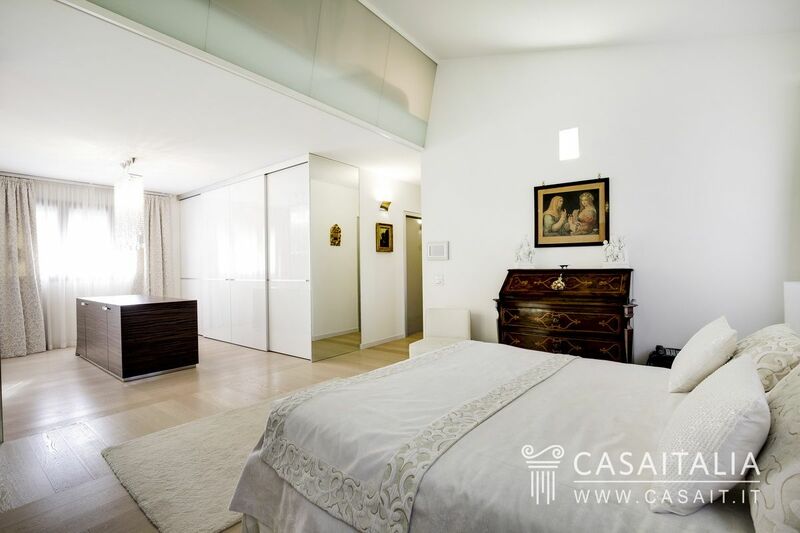 Only one of the four sides of this floor overlooks an embankment, while the other, very bright sides have French windows leading out to the large terrace and providing light to the beautifully decorated and furnished rooms. 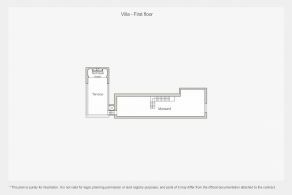 On this floor there is also a bathroom, an extra room currently being used as a guest bedroom, also with outdoor access through the courtyard outside the house, and some utility rooms. 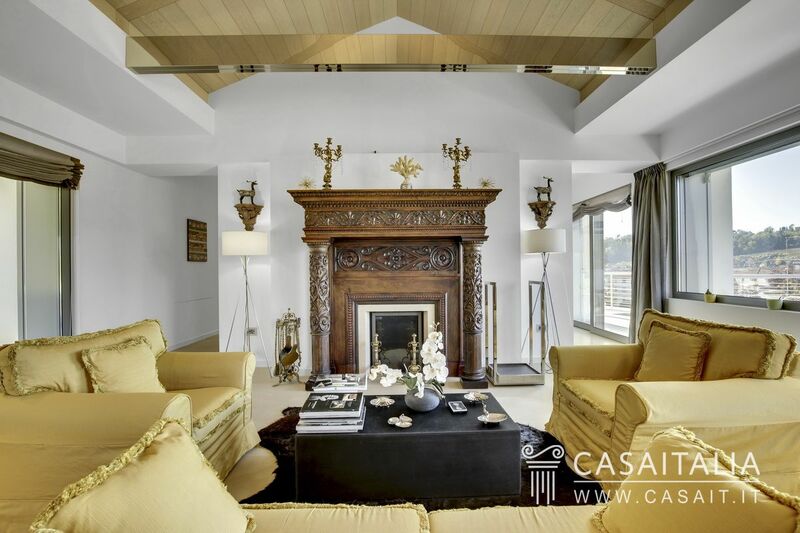 Back to the entrance hall, from where a stunning staircase with crystal railing leads to the drawing room, which comprises the living room area with access to the terrace, the dining room and the fireplace area, where there is a beautiful fireplace carved from ancient wood. 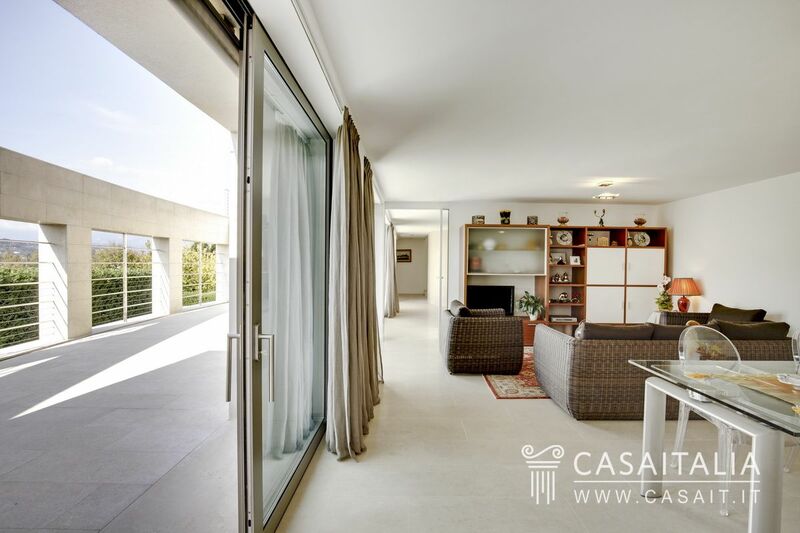 This room also has access to a second terrace, via the sliding French doors which go out to the garden. 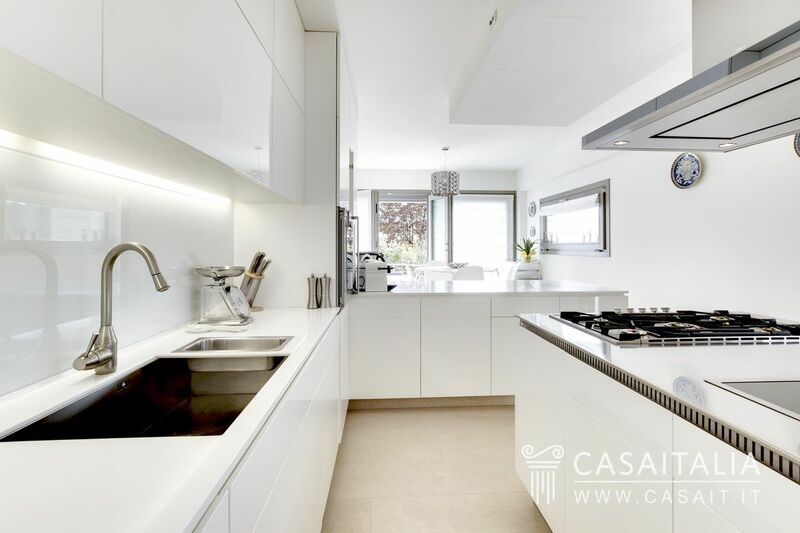 Next door there is the kitchen with island, equipped in the style of Boffi or Poliform with Gaggenau appliances, and the dining area, beside a bright French door which opens onto a terrace connected with the garden. 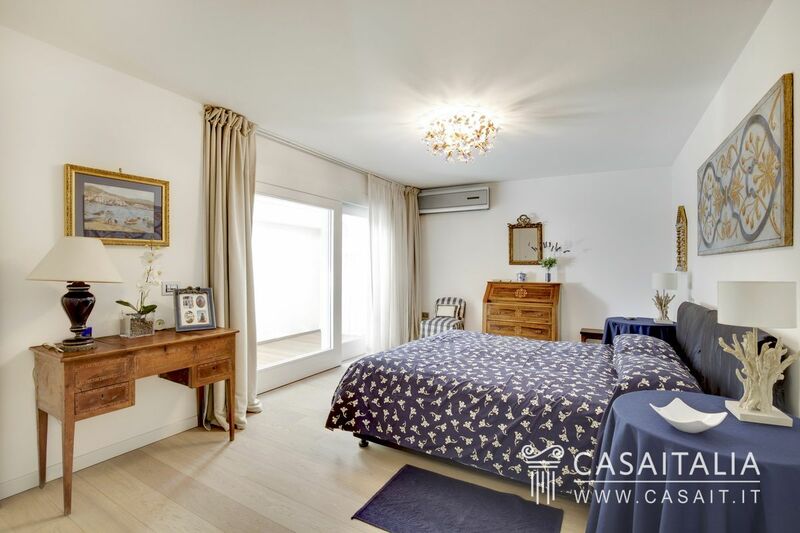 Next we come to the sleeping area, comprising three bedrooms with private bathroom, including the 38 sq/m master bedroom, with large walk-in wardrobe and a gorgeous indoor pool, measuring 2.5 by 5 metres, with swim spa system. 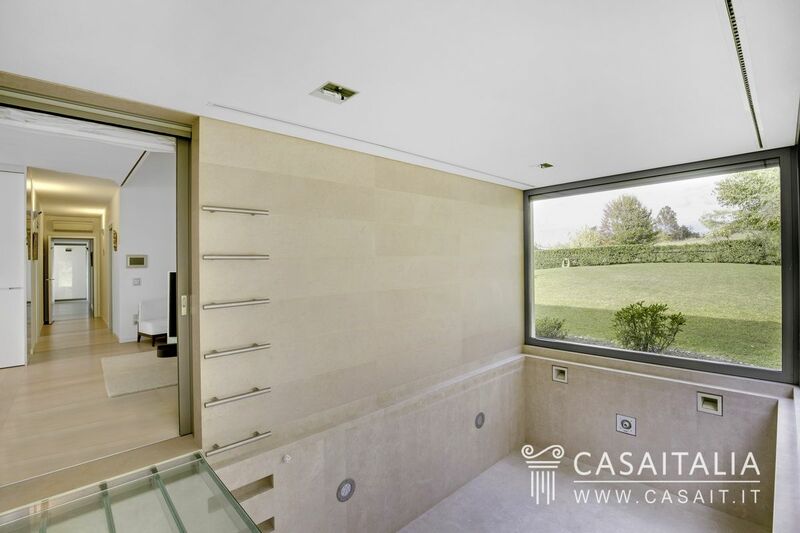 All the cupboards and doors in this area have been specifically made to measure by Rimadesio. 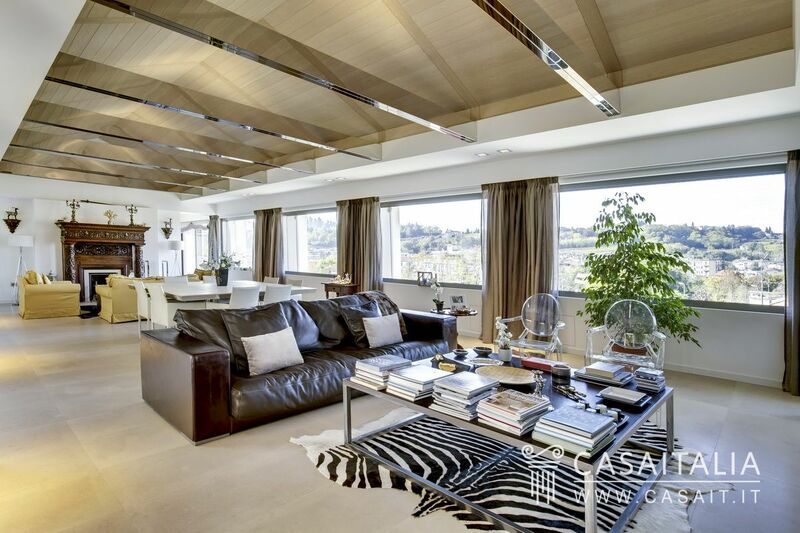 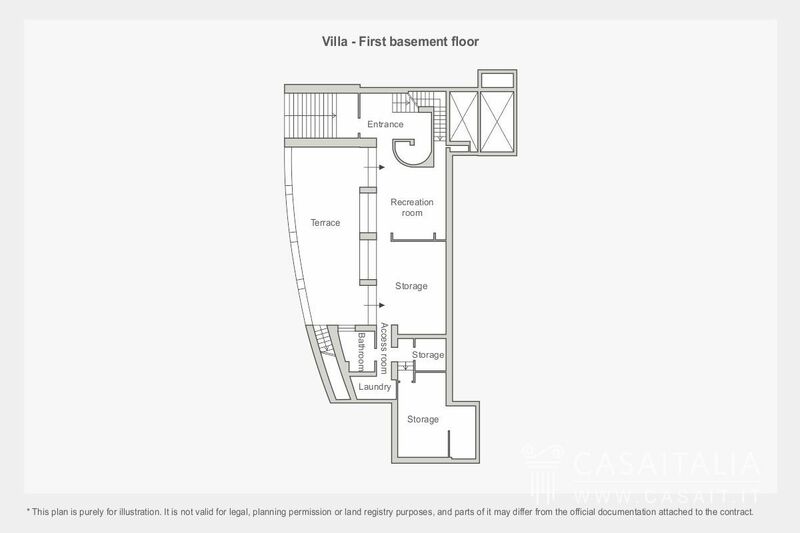 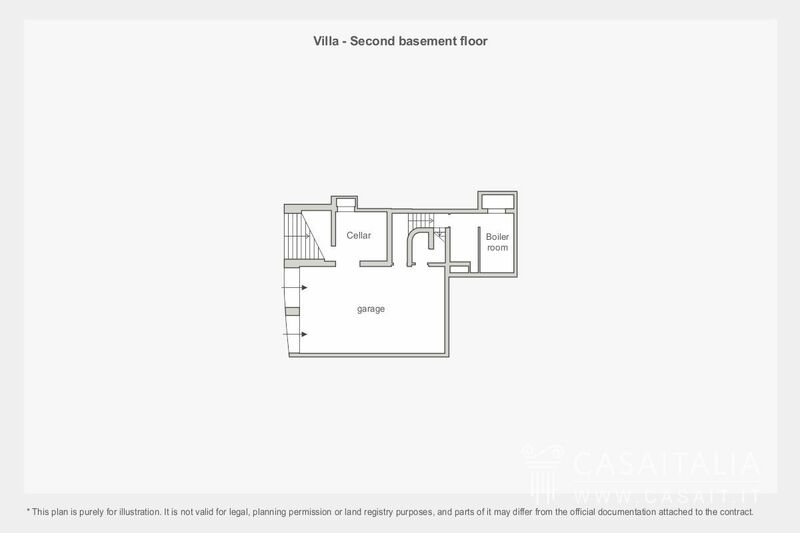 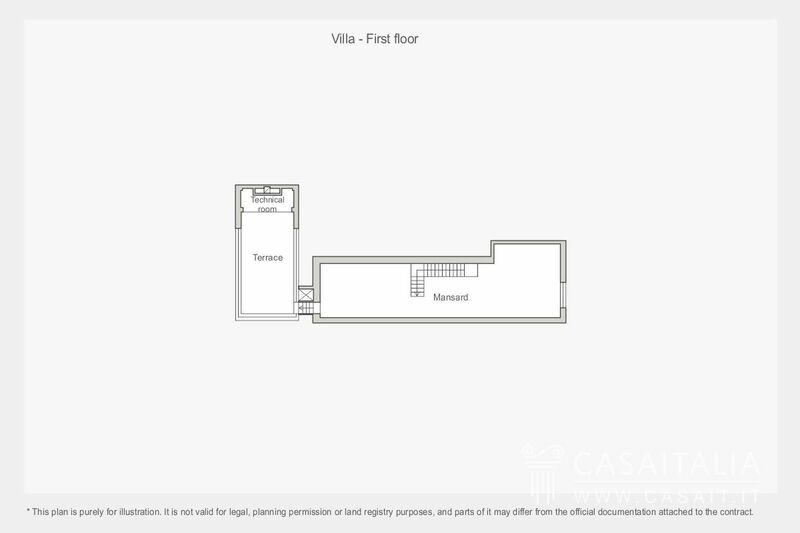 Upstairs there is a large loft space, with maximum height of 2.2 metres, which could be used for several purposes and also has access to a large terrace/solarium with panoramic view. 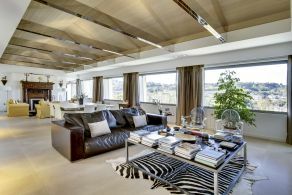 Below street level there is a double garage and a cellar which are also connected internally to the floor above. 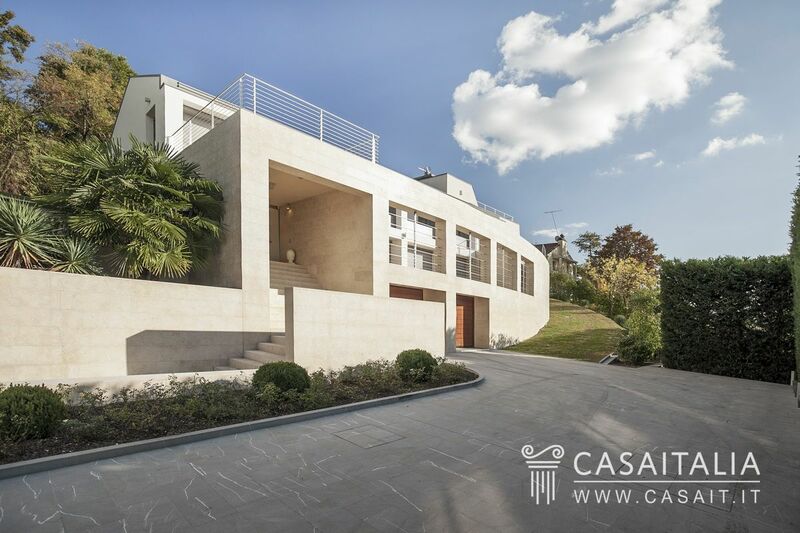 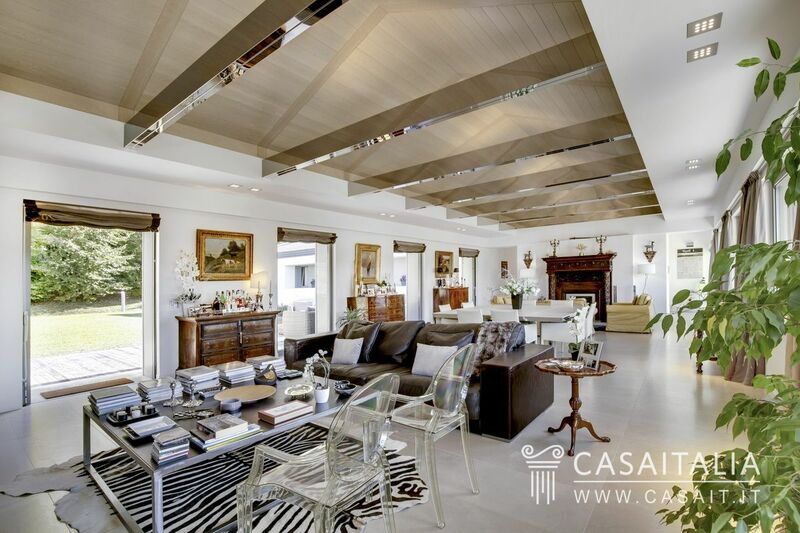 Villa Modern Luxury is an extremely impressive property, recently built with the highest quality materials and furnished with the best brands in a contemporary style, perfectly matched with antique furniture by a skilled interior design studio. 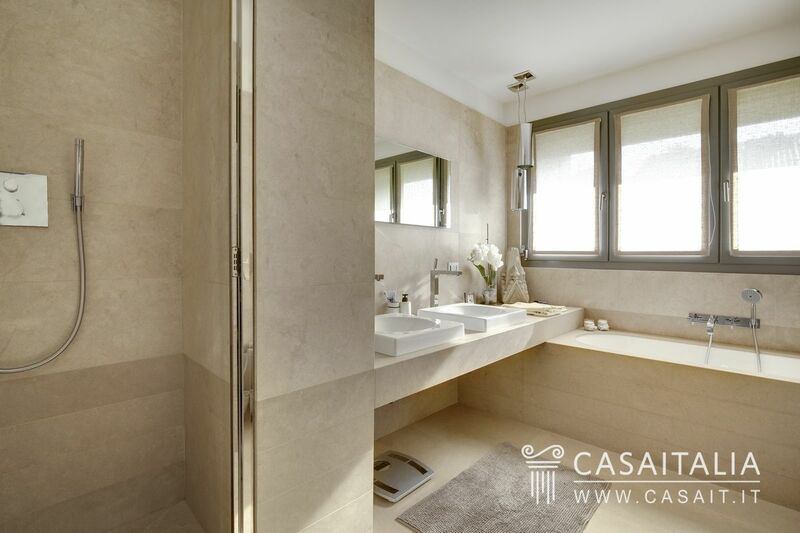 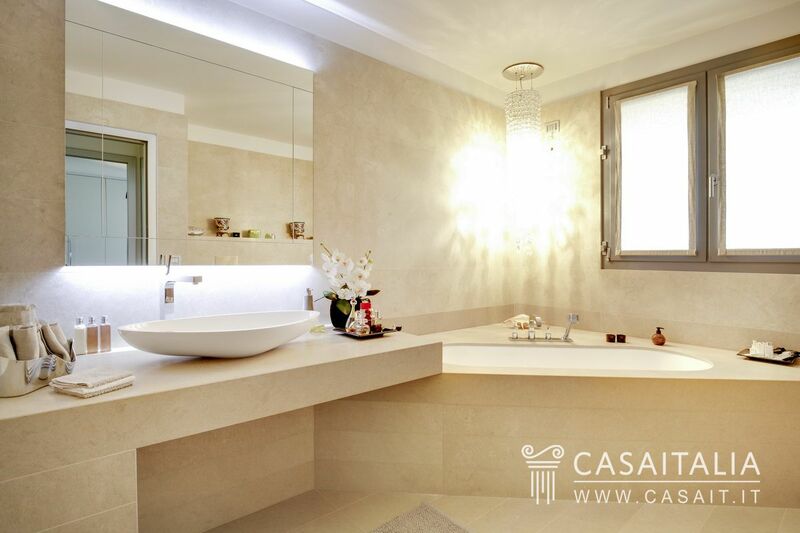 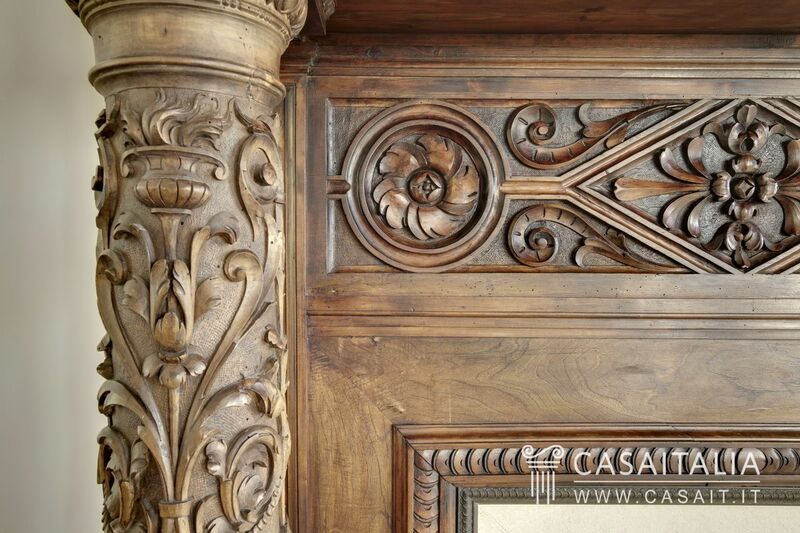 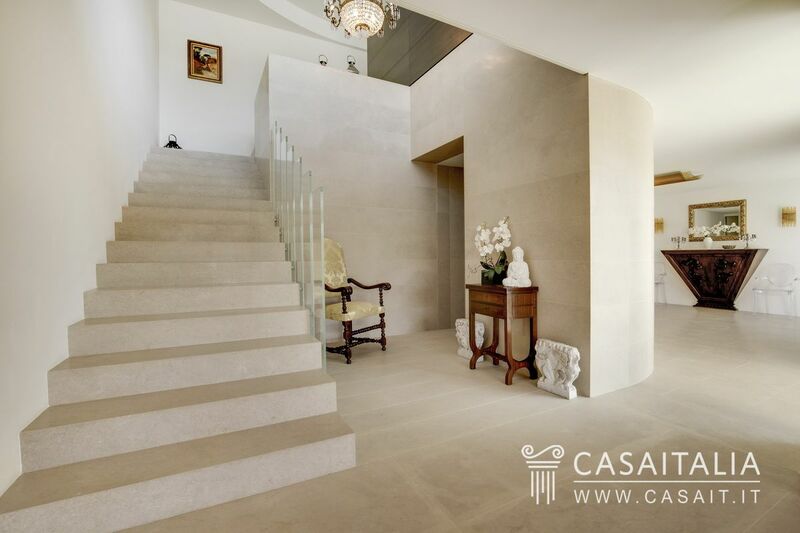 Natural stone, marble and fine wood provide charm to this special home. 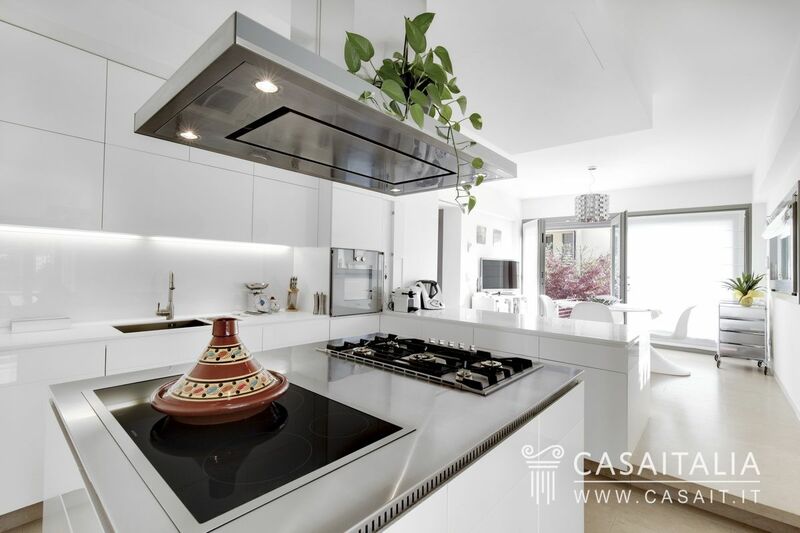 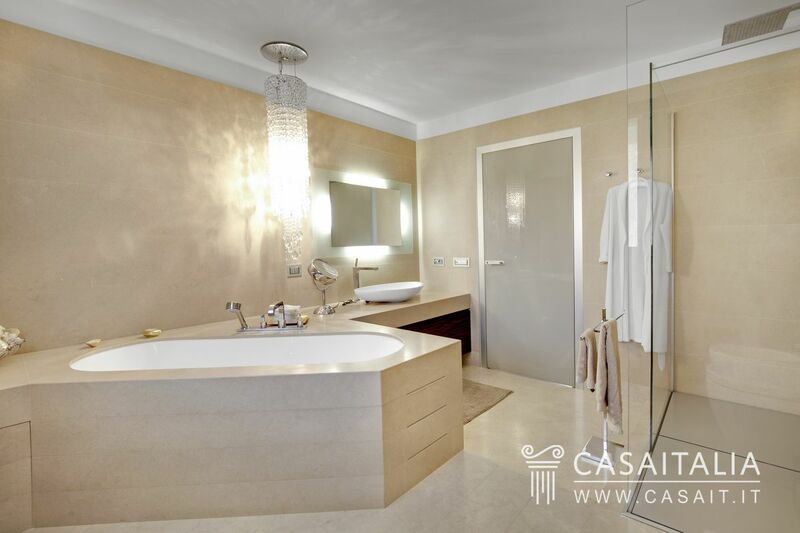 Fixtures, appliances and automated systems including the alarm system with video surveillance, are state of the art and allow the villa to be managed easily, also thanks to the under-floor heating and cooling system. 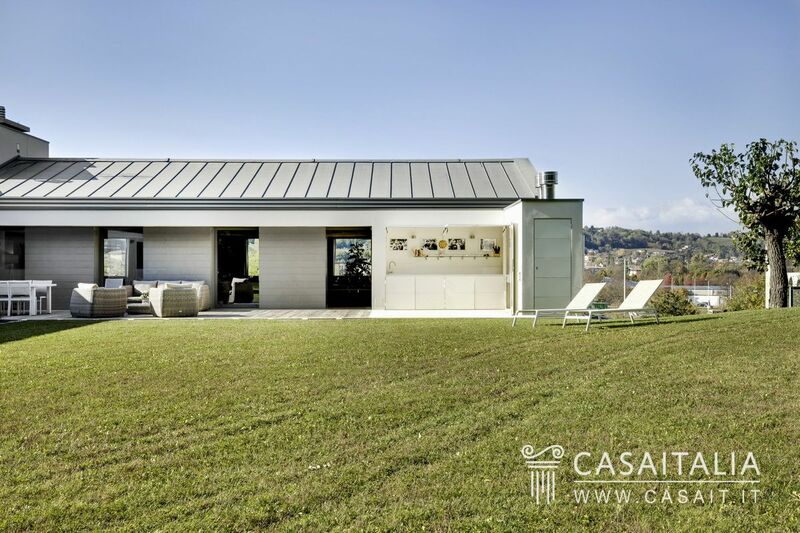 The villa is surrounded by around 1.100 sq.m of land, 700 sq.m of which is the garden. 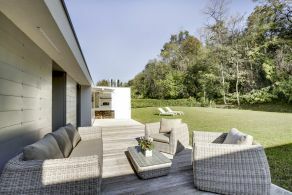 The same care taken when building the inside can be found outdoors: the whole garden is fitted with automatic irrigation systems and the area accessible from the living space has been carefully furnished with outdoor furniture in vinyl and exotic wood, also used for the patio, where there is a pleasant ‘hidden’ barbecue area. 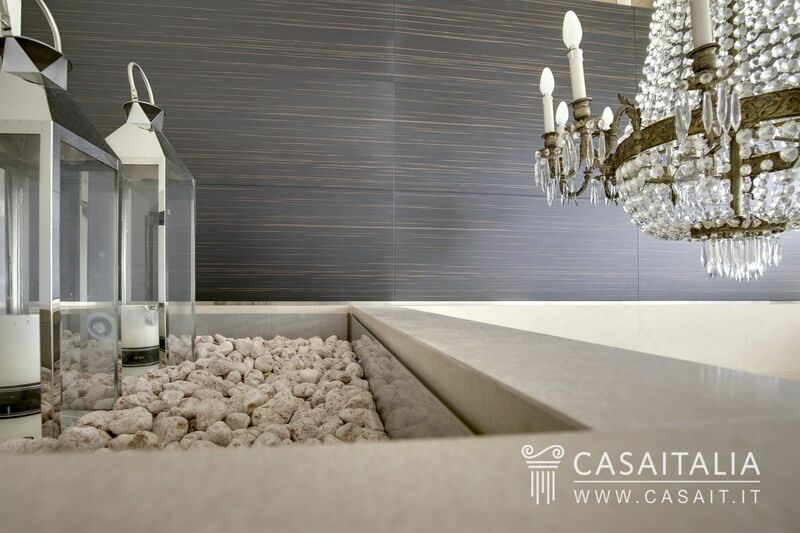 It would be possible to build an outdoor pool on the land included with the property, with the necessary permits. Villa Modern Luxury is an incredibly impressive property, which at the same time could be used as a luxury family home, thanks to its size and its location, which is private but not isolated.